This is a chronic condition that results in a variety of symptoms such as muscle aches & pain, stiffness, fatigue, sleep disorders and in some cases, memory fog (i.e., issues related to memory). Having some or all of the above can already make a person feel depressed, anxious and demotivated to help themselves. 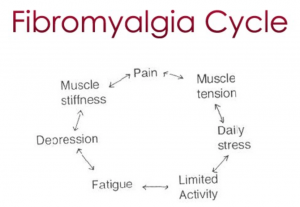 Researchers around the world have recommended effected individuals to first be educated about the syndrome and what their body is capable of managing in terms of workouts or therapy since each body responds and reacts differently. From all the research that has been conducted and based on some of my personal exposure to the knowledge of this condition, Pilates is trending to be a solution for people diagnosed with Fibromyalgia. The National Fibromyalgia Association also highly supports and encourages effected individuals to do Pilates as part of their therapeutic program which shows credibility of the method. An inactive lifestyle and poor posture can trigger this syndrome and some people think that exercising will worsen the condition, however, Pilates involves a variation of strengthening and stretching exercises to build a healthy body. The first visible results from Pilates are seen when the posture becomes more aligned and several other areas are improved, i.e., muscle development & toning, flexibility, balance…etc. A variety of controlled moments to gently strengthen the muscles and improve energy levels which combat fatigue. If your lifestyle has been quite stagnant or inactive for a while, it is best to start slow with Pilates and gradually work your way up! With the right guidance from quality instructors, Pilates will show improvements for this syndrome and may even continue to become a part of the lifestyle which is a positive outcome as you only become healthier this way! When Pilates becomes a form of therapy, it is referred to as Clinical Pilates and given the sensitivities behind these therapies, it is important to ensure that qualified instructors are chosen in a private setting. Through these private sessions, progress can be monitored effectively and right guidance and concentration is provided to ensure that Pilates does the magic! Currently at our Studio, (Pilates Station), we have a few clients who require Clinical Pilates and we also have a few testimonials to verify the progress made and it gives us immense pleasure to see the differences in how they feel. 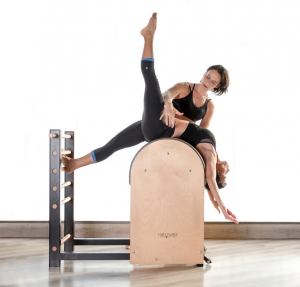 Since the effects of this syndrome are individualized, personalized Pilates programs are identified and applied along with the versatile variety of equipment. 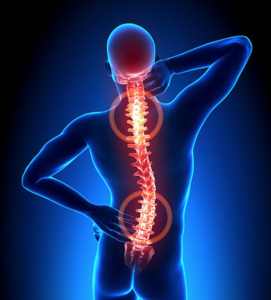 The focus should be to firstly focus on gentle exercises on stabilizing the pelvic and scapula areas. Progression will be seen by REGULARITY! Here are some studies proving how Pilates has helped individuals with Fibromyalgia. Result: The 25 women showed significant improvements in pain and body functioning vs. those that didn’t do Pilates and continued to have pain and had no improvement. 20 Patients with Fibromyalgia were split into 2 Groups randomly (10 patients each). Pilates were given to 10 people on a daily basis for 4 weeks (Group P) and Yoga were given to 10 people on a daily basis for 4 weeks (Group Y). Result: Evaluations showed that there were improvements in overall pain and fatigue for both the groups however, Group P scored more improvements on the post treatment evaluation aspects as compared to Group Y.